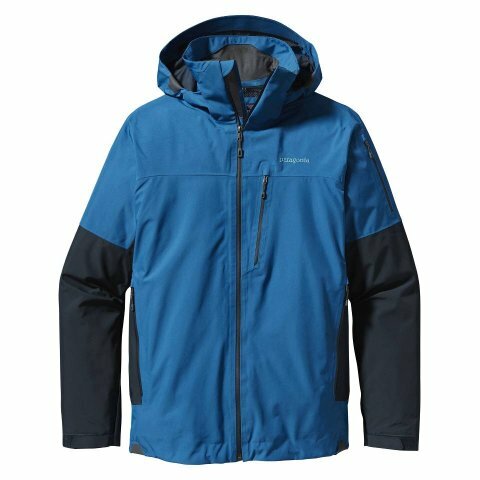 The Patagonia Powder Bowl Men’s Jacket has come a long way since the last time I tried it. 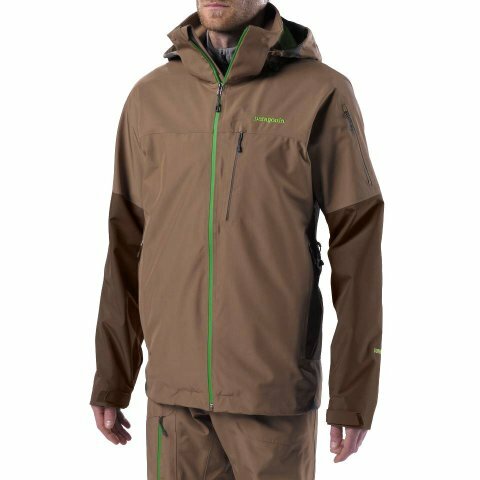 It now has Gore-Tex and a much more flattering fit. 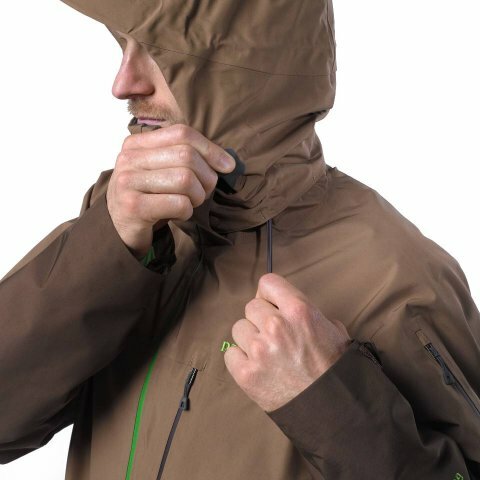 It’s a good call for anyone who sees a lot of wet weather and likes a very functional articulating hood. 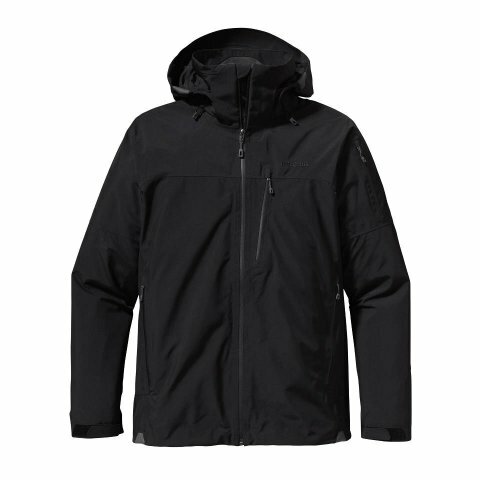 Other than the kind of off media pocket within a pocket there isn’t anything else to complain about and it’s a great resort jacket for those that see a lot of weather and like a shell that runs a touch on the warmer side. A big thanks to Patagonia @ Bend for giving us access to this jacket. 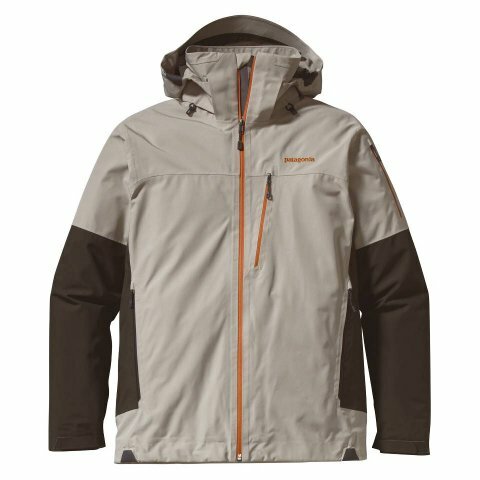 The Patagonia Powder Bowl Jacket is for those that want something a little more than your average 2 layer jacket can provide. Patagonia is all about well made long lasting products that are tested extensively before selling. While you mostly see skiers and telemarkers wearing Patagonia on the hill they do also cater to snowboarders. Fit: So the Powder Bowl has a similar fit to almost all Patagonia jackets I’ve tried. They are a normal in the shoulders but then don’t have much taper at the waist. This has a little more taper than some I’ve tried but still has that similar personality. 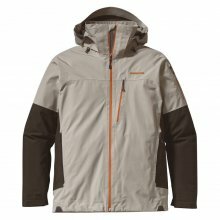 Construction: Like all Patagonia jackets the Powder Bowl is well built and it comes with a good warranty. 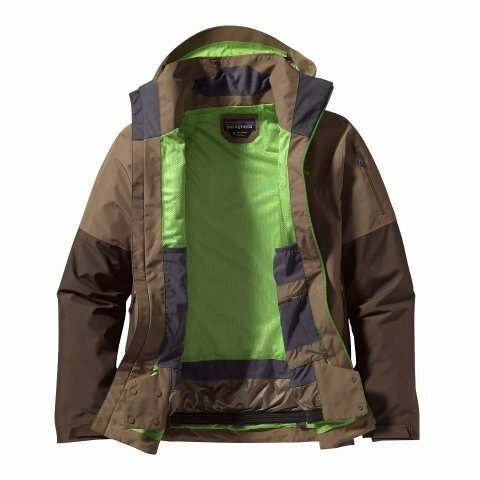 This jacket is well thought out and a great investment. 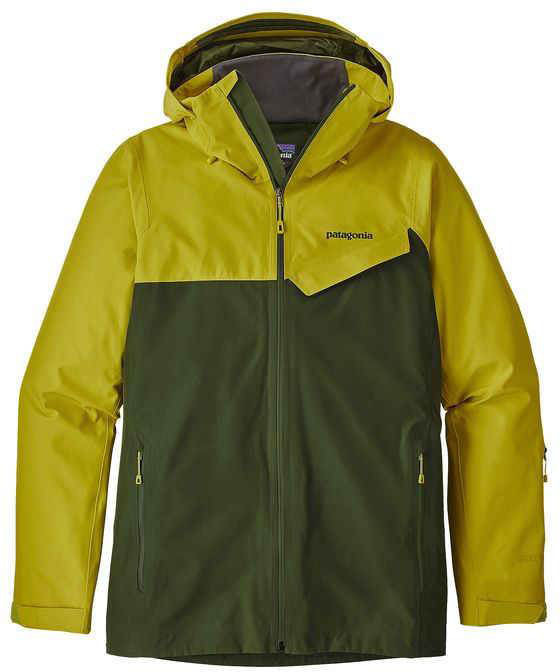 Waterproofing: The 2013 Patagonia Powder Bowl has Gore-Tex that makes it more waterproof than the older models. 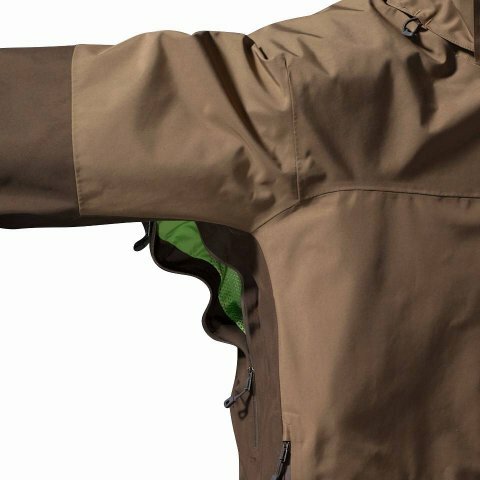 The 2012 has a 3 layer in the critical areas like where you rest your arms and on your shoulders. The rest is 2 layer. Patagonia has a laminate on the outer layer where most companies have an insert between or underneath the layer/layers. 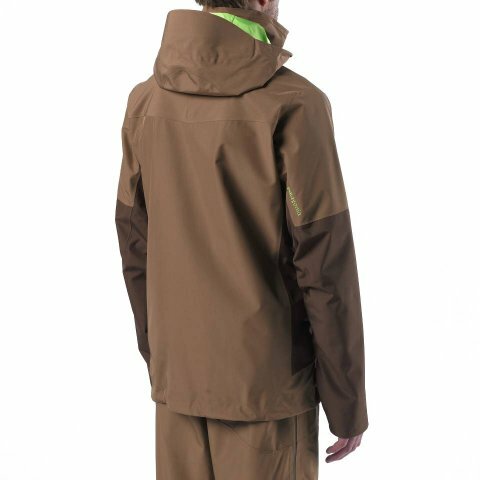 That being said you get a lifetime warranty on the Powder Bowl Jacket. 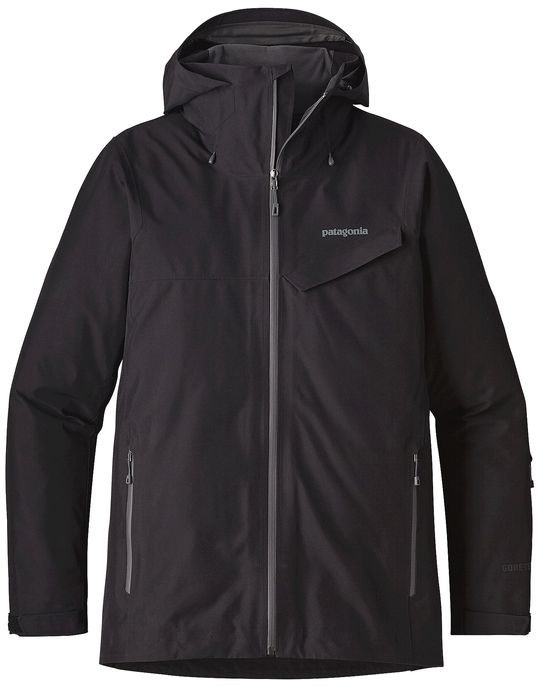 It’s not as bomb proof as the Patagonia Primo but it comes very close. Breathability: Gore-Tex isn’t super breathable compared to some companies but it’s not bad at all. 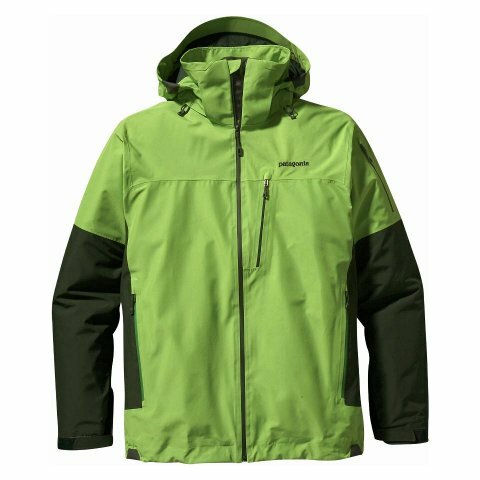 Pit Zips– Patagonia has pit zips that out do any other jackets. They seem to open up large enough to air out the stinkiest of pits. Overall: The 2013 Patagonia Powder Bowl Jacket is a solid choice over the 2012 because of the addition of Gore-Tex in the fabric. 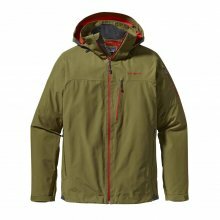 It’s a good jacket that will last a long time. 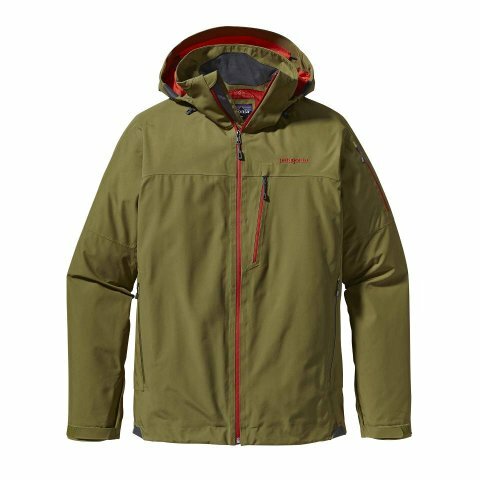 Another thing we like about Patagonia is they are the only clothing company that is closest to zero environmental impact in the action sports industry. Supporting them is like investing long term in the snow we ride. 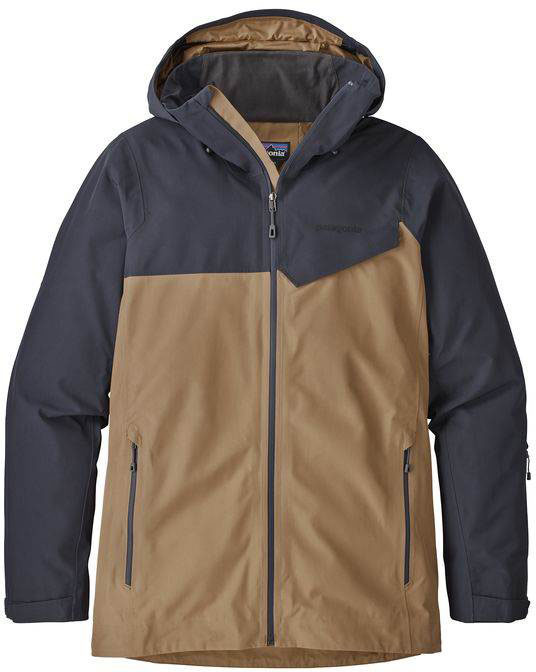 We try to get as many images of the Patagonia Powder Bowl Mens Jacket, but forgive us if they're not all there.